22/03/17 : Guided tour of our production "The secret world of orchids !" Following numerous requests to visit our production site (closed to the public until now), we started guided tours in January 2017, in order to offer everyone the opportunity to discover our unique orchid production in France ! Guided tours are organized in groups of 8 to 15 people, with an average duration of 1 hour and a half. For bookings of dates of group visits, we invite you to send us an e-mail to the adress : services.odp@gmail.com. 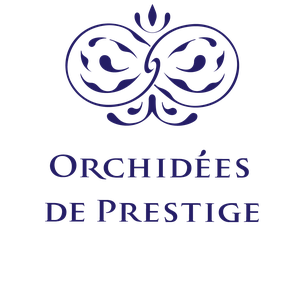 06/05/2016 : The "Orchid's Wizard"
During our trip to Asia in April, the head of production of Orchidées de Prestige visited a horticulturist, nicknamed "Orchid's Wizard". Indeed by his know-how that it keeps secret, it makes flower its phalaenopsis up to 60 florets per floral stalk ! His orchids travel all over the world to participate in international exhibitions. The Asia-based ODP partner has just inaugurated their first high-tech laboratory dedicated to the creation and testing of new varieties. This acquisition will allow us to have exclusive varieties on the market, and market young plantsto other producers.